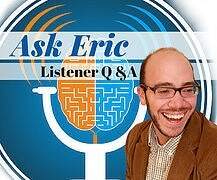 Nicole joins me on this episode of ADHD reWired. Nicole is a mom of two with a background in sales. Nicole has been a member of our most recent ADHD reWired Coaching and Accountability Group. 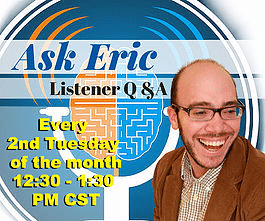 In this discussion, Nicole shares her ADHD story with us. She has an entertaining story of how she first realized she has ADHD. Nicole shares a lot with us in the conversation. 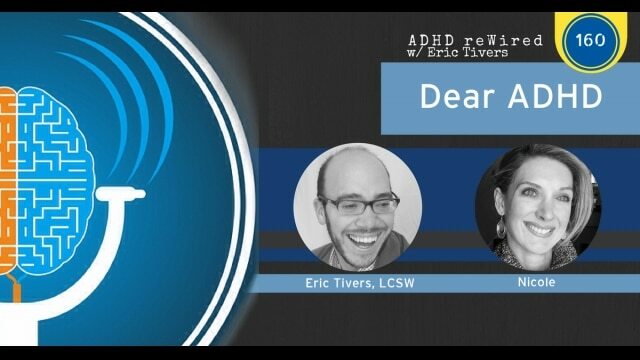 You will hear how she views the role that ADHD plays in her life, she reads a letter she wrote to her ADHD, and she describes the changes she is experiencing in her life now because of her involvement in the ADHD reWired Coaching and Accountability Group. [06:09] – Nicole describes her background and her history with ADHD. She was not diagnosed until she was a senior in college. She shares how this discovery and diagnosis came about. 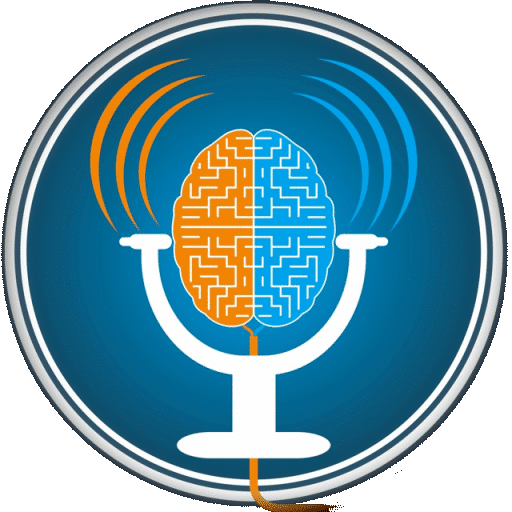 [09:12] – Nicole talks about some of the resources she found (this podcast included) and how she started to understand the science of ADHD. [16:30] – Nicole shares how she views the role ADHD plays in her life. I describe a post-it note that Nicole has designed that symbolizes everything. [21:38] – We recently did a writing exercise in the group. I asked members to write a letter that starts “Dear ADHD,” and she shares her letter with us. 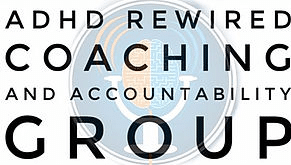 [24:24] – Nicole explains why she joined the ADHD reWired Coaching and Accountability Group. [31:17] – Nicole shares some of her transformation that was brought on by being part of the group. [33:27] – Nicole believed that hyperfocus was one of her greatest strengths. We discuss the side effects that can make hyperfocus a weakness. [43:36] – Nicole talks about how she benefitted from mindfulness meditation. [46:20] – Nicole texted me that she needed to reschedule our appointment, but then changed her mind. We talk about pushing through perfectionism and feelings of not being in the right mental place for events to take place. [50:50] – Holding onto strengths and successes is important because there will be times of weakness that you use those to push through. [51:58] – Nicole lists some of the successes she’s experienced because of the ADHD reWired Coaching and Accountability Group. This has helped her grow in ways she would have never expected. [56:52] – Nicole talks about using paper and Evernote to organize. [1:01:53] – If you are newly diagnosed with ADHD and are planning on having children or have children that are young, Nicole has a message for you.